The reason we have developed a special expertise in animal care design is simple: we love bringing people and animals together in healthy supportive environments. Having worked with hundreds of veterinarians, breeders, shelter boards and educators, we personally identify with the unique challenges that impact animal care facilities. We understand the many issues, technologies, functional requirements and animal health and safety aspects specific to the animal care industry. Our deep devotion to our clients drive our creative ideas beyond predictable limits and we thrive on each opportunity to create a one-of-a-kind facility providing the highest level of animal care possible. Sustainability and efficiency are one of the primary design drivers of these utility intensive environments. 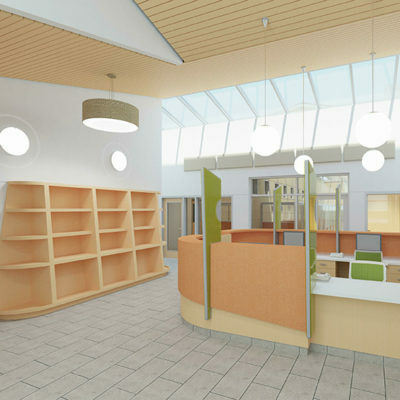 We are as excited as you are to bring your vision of the perfect animal hospital, shelter or boarding facility to life. rfa is currently working with the City of Quincy towards the development of the new Quincy Animal Shelter and adjacent Dog Park. 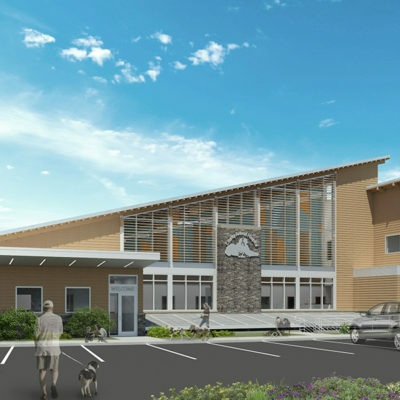 This 21,000 square foot Shelter not only includes housing and adoption facilities for lost and/or abandoned dogs and cats, but will also include a Veterinary Medical Clinic, a Spay-Neuter Clinic, public spaces for Humane Education, Training & Obedience Classes, Public Meetings & K-9 Unit Demonstrations. In addition, there is a separate area for the Quincy Animal Control Unit and a separate area for the Quincy K-9 Police Unit. The Project contains all the support functions for these components. Two wonderful, devoted, animal loving visionaries have joined forces to create a state-of-art boarding facility. 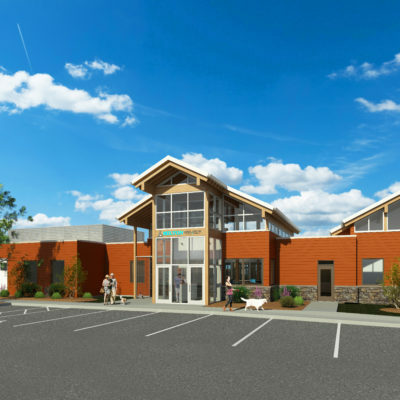 Located in Guilford, CT, very close to New Haven, and within eye sight of the Atlantic Ocean, this 12,000 SF pet hotel will include Luxury, Deluxe and Standard Dog Suites, plus indoor Dog Playrooms and a Grooming Suite. For Cats, there will be deluxe cat condos and a fun filled Cat Playroom with climbing structures, spiral stairs, ramps and bridges to delight the cats. OCACF is the new Central Animal Care Facility in Orange County, California serving fourteen surrounding cities and communities. RFA’s design sites seven buildings, ample parking, corrals, service areas and a variety of exercise yards into a dynamic, park-like setting. The spine of the seven acre campus—a curved, tree lined Promenade—encourages public exploration and secure, nurturing interaction between visitors, staff and animals. 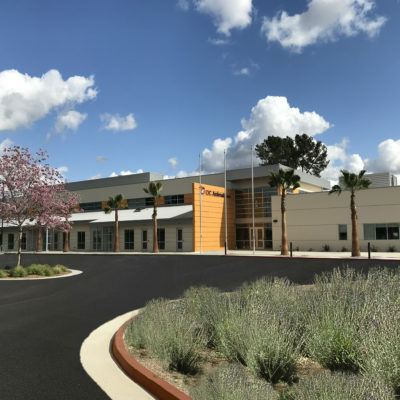 The 36,000 SF, two-story main building, housing a state-of-the-art Veterinary Clinic, Cattery, public meeting spaces, Field Services and a variety of administrative departments, acts as a welcoming gateway to the OC Animal Care campus. Feline areas accommodate 192 cats featuring outdoor Cattios and stimulating, sun-filled Communal Cat Play Rooms. Canine Kennel Pavilions along the Promenade are designed to flexibly accommodate a diverse population of 200 dogs, showcase unique residents and create quiet opportunities for bonding. 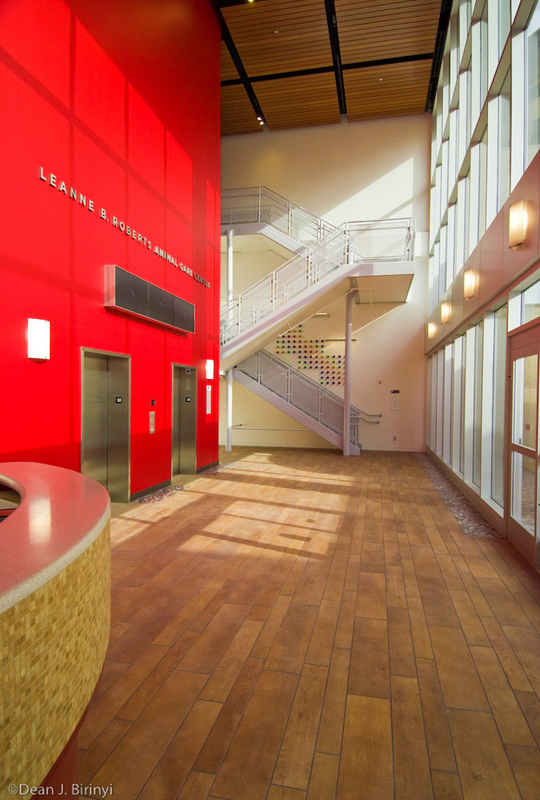 RFA worked extensively with OCAC staff, animal welfare specialists and members of the renowned UC Davis School of Veterinary Medicine to meticulously craft every aspect of this facility. 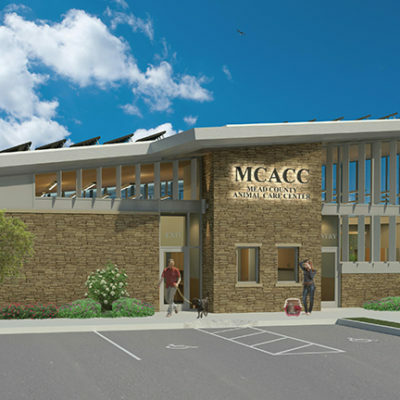 The resulting design, going well beyond providing animal health and welfare in a secure, sustainable, durable facility, seeks to establish a new forward-thinking standard in municipal animal care and an inspirational community resource. RFA took advantage of sophisticated BIM 3D modeling tools to facilitate frequent client design reviews and Design-Build team communication. Efficient planning, durable concrete tilt-up panel construction and a number of innovative building techniques also helped to complete this sophisticated, fast-track project within budget and our client’s aggressive seventeen month schedule. 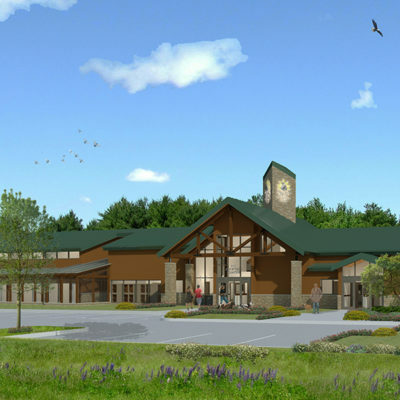 With the majestic Rocky Mountains in the background, the visionary Owner of this highly respected veterinary hospital wants to build a new hospital, primarily on a contiguous piece of adjacent property, in order to respond to the expanding needs of his clients. 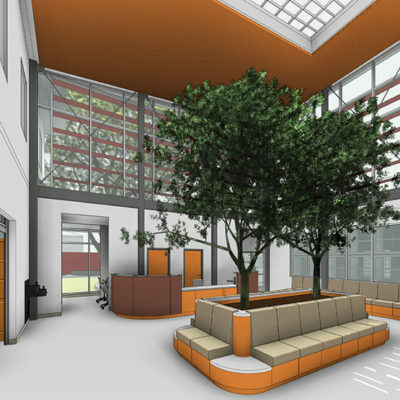 This new 15,700 square foot veterinary hospital will contain eight Exam Rooms, two of which are customized for cats, including cat play structures, plus an additional Consultation/Bereavement Room. The new hospital will also include canine and feline boarding plus Doggy Day Care, a Training & Obedience Center and an Agility Gym. The Lower Level will contain an MRI and Rehab functions including wet and dry treadmills and a currents pool, all with natural light from an adjacent sunken courtyard. Located in the small community just outside of St. Louis, the County Animal Hospital is a very well respected veterinary facility. However, the existing hospital does not reflect, nor does it help facilitate the high level medical care provided within. 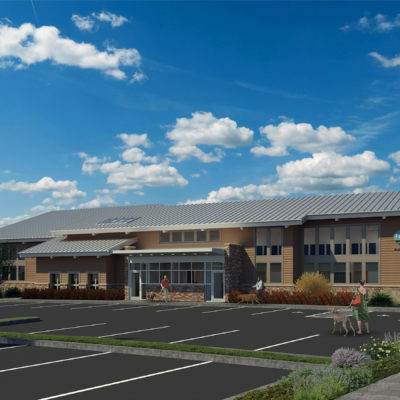 The proposed new hospital, comprised of 16,000 square feet on three levels, will enable County Animal Hospital to fulfill every one of its objectives and facilitate the practice achieving a whole new level. The new hospital will not only provide CT Scans and Orthopedic Surgery, but also Physical Rehabilitation. In addition, luxury boarding for both dogs and cats will be provided including a glass covered outdoor exercise yard. A two-bedroom living unit is also included within the upper level. The Animal Shelter for Humane Society of Tampa Bay Florida is like no other. Comprised of over 42,000 square feet, the shelter spans an entire city block as it winds around existing giant oak trees that predate all man-made structures. There are three primary entrances, one entry to the Main Adoption Center, one entry to Administrative Offices and a Multipurpose Meeting Room/Event Center on a second floor, and one entry to the Animal Surrender Areas and the Veterinary Medical Areas. The Veterinary Medical Areas include a Spay-Neuter Clinic, plus an Intake Examination and Medical Assessment Clinic. The spinal cord of the Pet Adoption Center is an Interactive Corridor that takes visitors on an inspiring and fun-filled tour along Dog Exercise Yards, Adoptable Dog Housing, Adoptable Puppy Housing, Dog Visitation Rooms, Doggy Play Pools, Communal Cat Play Rooms, Kitten Play Rooms, Communal Cat Housing, multiple Adoption Counseling Rooms, several Memorial Walls of Honor and an amazing Memorial Pet Garden. The Greenwood County Animal Shelter is a joint venture between Greenwood County Animal Services and The Humane Society of Greenwood. 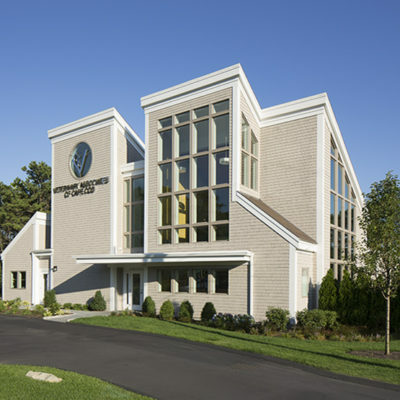 This 16,000 square feet facility enables each entity to have all the services and support functions that each one requires in order to operating effectively and efficiently. The sharing of these support services has significantly decreased the initial construction cost, as well as the long term operating overhead cost, once the project is completed. The Shelter contains a Spay/Neuter Clinic. It also includes a large Multipurpose Room for meetings, fundraising events and Training & Obedience Classes. The owner of this 22,900 SF facility, a veterinarian who is a true visionary, recognizes the tremendous benefits of creating an animal care center that caters to virtually every need for health and well-being of his pet owning clients. 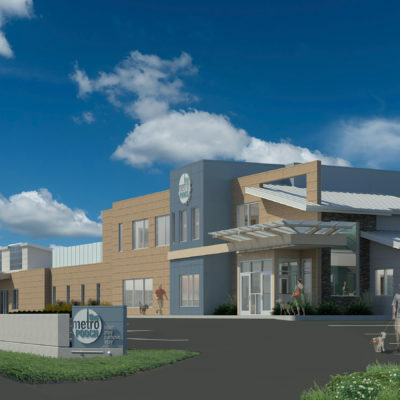 Not just a full service Animal Hospital, this facility will also include a Pet Depot Retail Store, a Pet Boarding component with 178 Runs on the second floor, together with a Pet Grooming Center visible from the Retail Store directly below on the first floor. The Cat Playrooms, on the second floor, are also visible from the Hospital Waiting Area directly below on the first floor. The third floor contains a Dog Daycare and Training/Obedience Center, with access to three outdoor exercise yards on the roof, each with a doggie play pool. 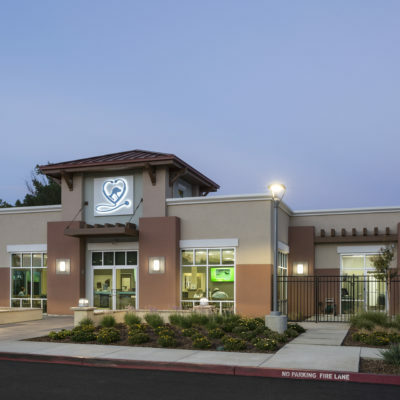 The Atwater Veterinary Center project, the 2015 General Practice HOY Winner, was designed to replace an existing 40 year old single story practice whose land and building was taken by the State of California through the process of Eminent Domain. Anticipating the loss of their veterinary hospital and being further compromised by a very short timeline to acquire suitable land and begin the design process, Dr. Chiffelle and her partners turned to rauhaus freedenfeld & associates to come on board immediately to help make it all come together. 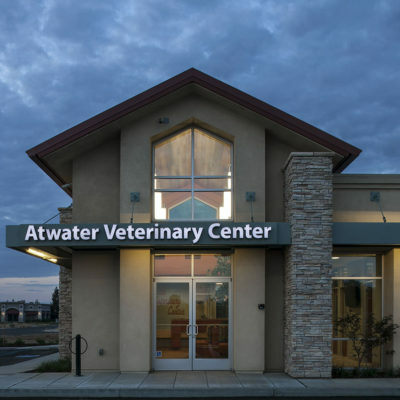 From seemingly insurmountable odds to acquire the land, the financing, and maintain their business operations in Atwater, this hospital rose like a phoenix from the ashes as a tribute to American exceptionalism and ingenuity to become the 2015 Veterinary Economics Hospital of the Year. The project features a Craftsman style, 5,496 SF single story building with 26 parking spaces, a secured rear service yard to accommodate Doctor’s vehicles along with a covered large animal truck carport, and 3 outdoor runs equipped with Pet Friendly Turf and 7 ft high fence surrounds. 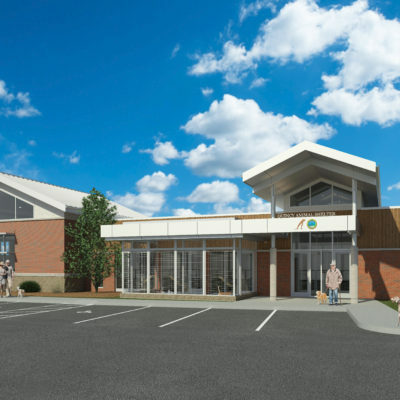 Located in a semi-rural area of northern Kentucky, this new two-story, 15,000 SF all-inclusive facility will replace an existing 2,000 SF single story general practice hospital. 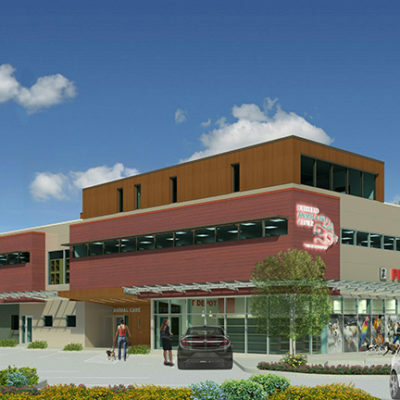 Located directly behind the existing practice, the new Animal Care Center will contain a 7 Exam Room full service hospital on the Upper Level plus Canine and Feline Boarding, Grooming, Doggy Day Care and Training & Obedience services on the Lower Level. The new full service hospital will provide physical therapy, dentistry and ultrasound services. The entire design is intended to convey a message that state-of-the-art medicine is practiced within a warm, friendly and inviting environment. 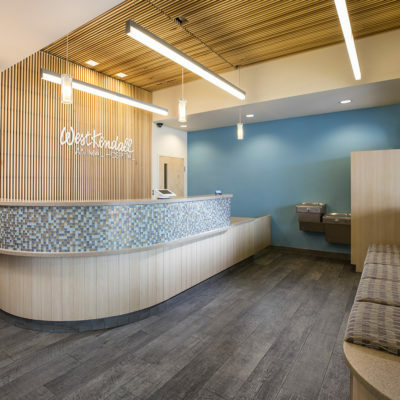 Located in an outdoor shopping mall in Miami, FL, the West Kendall Animal Hospital is a tenant improvement renovation consisting of 2,100 SF, which includes a small addition. 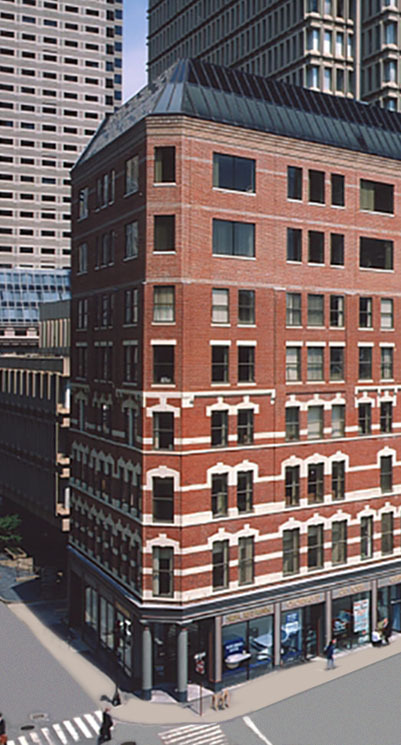 By developing a phased implementation strategy, RFA was able to keep the entire practice fully operational throughout the entire reconstruction process. This compact clinic contains 3 Exam Rooms, 3 Treatment Tables, Surgery, X-Ray and separate Canine and Feline Hospital Wards. The Waiting Area is designed to convey a message that state-of-the-art medicine is practiced within a warm, friendly and welcoming environment.